HP are at it again trying to combat the generic printer cartridge market. 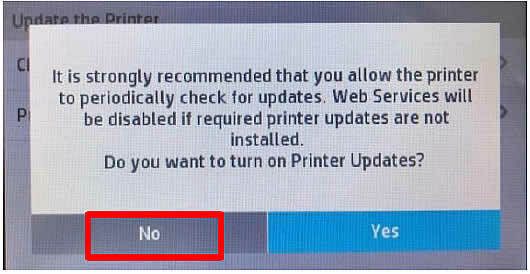 HP don't seem to have the brains to realize how much this frustrates the consumer and they also seem to have a short memory in regards to their legal challenges with their last shonky firmware update. HP may make short term financial gains from these actions however long term I think that it frustrates the hell out of the end user and certainly has adverse affects on their long term printer sales. For those who don't know, last time HP use these tactics they were reported to the ACCC and it cost them a heap of money. All end users that were affected by the updates were able to claim $50 each as compensation for their losses. We strongly recommend that people do the same again and call the ACCC and lodge your complaint against this unethical company. 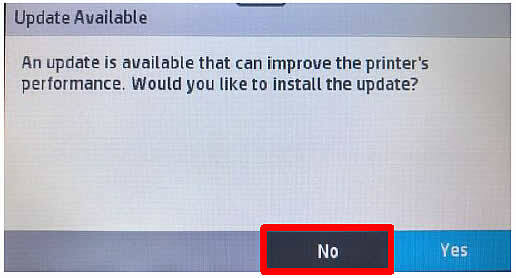 The following message automatically appears and prompts you to install the updated firmware. 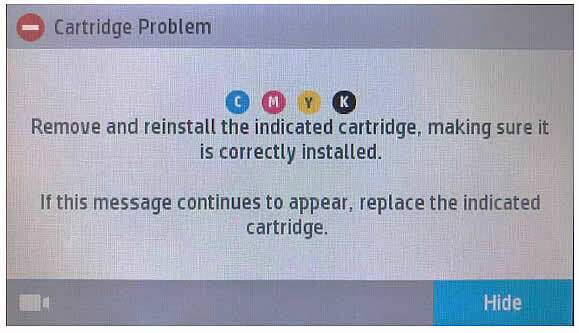 Once the update is installed the following message will appear telling you that your non genuine ink cartridges are now useless. Thank you very much HP for forcing the end user to dump their generic cartridges and now use your ridiculously over priced printer cartridges! 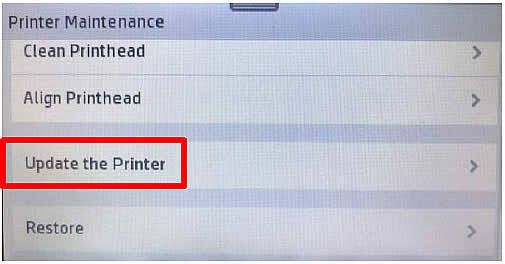 There is no reason whatsoever to update your printers firmware. It wont make a scrap of difference to it's operation and it's soul purpose is to stop the end user from being able to use generic cartridges. Why shouldn't the consumer have the right to use whatever aftermarket product they want to if it saves them money. If you have been affected by this update contact the ACCC in Australia and get the ball rolling again and make HP compensate you for robbing you of your right to use generic cartridges. It's a disgrace! The following diagrams will walk you through the process of turning OFF all future firmware updates so that this wont occur again. 2. 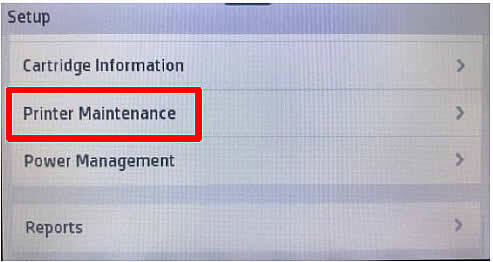 Click on "Printer Maintenance"
3. 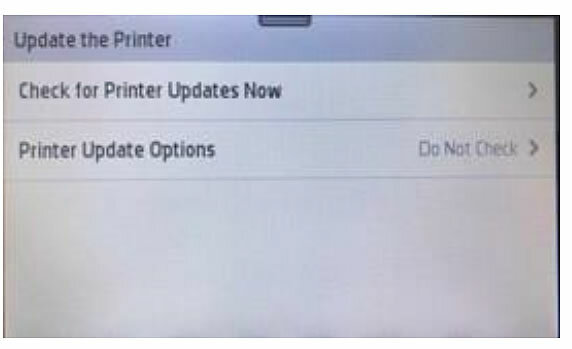 Click on "Update the Printer"
4. 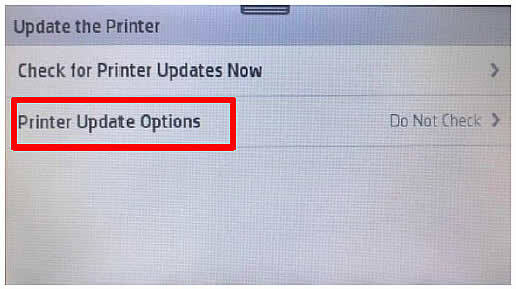 Click on "Printer Update Options"
5. 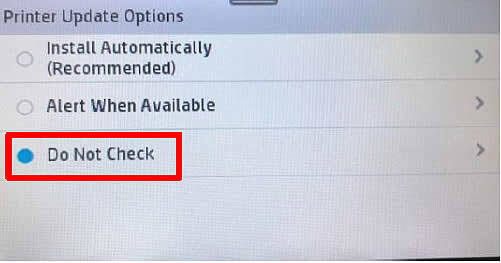 Click on "Do Not Check"
After walking you through all of the above steps to turn OFF the HP printer updates the good news is that the new generic cartridges with the updated chips are already available and we will have them within the next few weeks. Yes the updated chip has been developed and we will have them available to purchase in a couple of weeks. 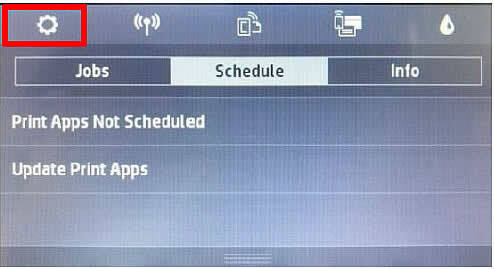 HP will no doubt continue with these crazy tactics however the solution is always available within weeks of these updates coming out and all it really does is cause an inconvenience to everyone involved. Meanwhile folks if you have been affected by HP's latest update I urge you to contact the ACCC and take action as people did last time this occurred.